Thanksgiving will be here before you know it, closely followed by the main holiday season of Christmas and Hanukkah. 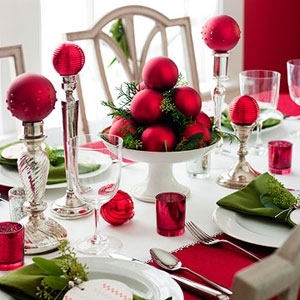 Holidays are a time for entertaining and catching up with family and friends, and, of course, an excuse for decorating! Instead of simply placing a few tried and true ornaments on the mantelpiece and on side tables, why not take this opportunity to create a fresh new look and feel throughout your entire home? At KT Interior Designs, we come in and evaluate your current layout of furniture and general décor. We can put together a plan that not only decorates for the holidays, but will also give you an updated version to your current décor to enjoy year round. Any room can be completely updated and refreshed simply by changing out a few pieces of furniture, changing the window treatments or updating the accessories such as lamps, pillows and wall art. By doing a survey of everything currently in your home, we can suggest ideas on how to re-purpose certain items of furniture, move them to different rooms and then add in certain new pieces to give an entirely new look and feel to a room. All it takes is a quick call to KT Interior Designs to book a holiday ‘revamp’ appointment, and we will help you create a warm, inviting and festive atmosphere in time for the holiday season and beyond!